Water is a key driver of economic and social development while it also has a basic function in maintaining the integrity of the natural environment. However water is only one of a number of vital natural resources and it is imperative that water issues are not considered in isolation. Managers, whether in the government or private sectors, have to make difficult decisions on water allocation. More and more they have to apportion diminishing supplies between ever-increasing demands. 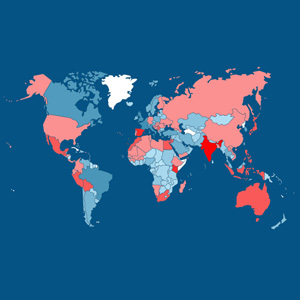 Drivers such as demographic and climatic changes further increase the stress on water resources. The traditional fragmented approach is no longer viable and a more holistic approach to water management is essential. This is the rationale for the Integrated Water Resources Management (IWRM) approach that has now been accepted internationally as the way forward for efficient, equitable and sustainable development and management of the world's limited water resources and for coping with conflicting demands. There are great differences in water availability from region to region - from the extremes of deserts to tropical forests. In addition there is variability of supply through time as a result both of seasonal variation and inter-annual variation. All too often the magnitude of variability and the timing and duration of periods of high and low supply are not predictable; this equates to unreliability of the resource which poses great challenges to water managers in particular and to societies as a whole. Most developed countries have, in large measure, artificially overcome natural variability by supply-side infrastructure to assure reliable supply and reduce risks, albeit at high cost and often with negative impacts on the environment and sometimes on human health and livelihoods. Many less developed countries, and some developed countries, are now finding that supply-side solutions alone are not adequate to address the ever increasing demands from demographic, economic and climatic pressures; waste-water treatment, water recycling and demand management measures are being introduced to counter the challenges of inadequate supply. 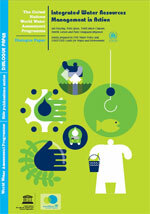 In addition to problems of water quantity there are also problems of water quality. Pollution of water sources is posing major problems for water users as well as for maintaining natural ecosystems. In many regions the availability of water in both quantity and quality is being severely affected by climate variability and climate change, with more or less precipitation in different regions and more extreme weather events. In many regions, too, demand is increasing as a result of population growth and other demographic changes (in particular urbanization) and agricultural and industrial expansion following changes in consumption and production patterns. As a result some regions are now in a perpetual state of demand outstripping supply and in many more regions that is the case at critical times of the year or in years of low water availability. 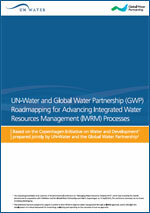 In 2006 a Task Force on IWRM was created by UN-Water, with members drawn from UN-Water agencies and from partner organizations. In May 2008, the Task Force on IWRM completed its mandate when it presented the 'Status Report on Integrated Water Resources Management and Water Efficiency Plans' at the sixteenth session of the Commission on Sustainable Development. 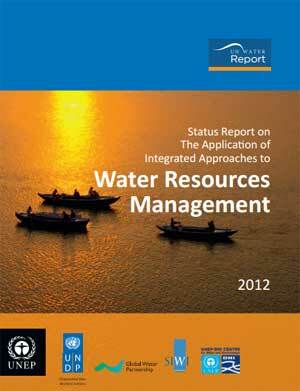 In 2008, UN-Water combined the Task Force on IWRM and the Task Force on Monitoring to establish the Task Force on Indicators, Monitoring and Reporting. 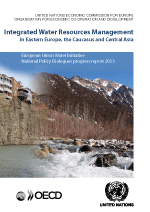 This publication gives an overview of implementation of Integrated Water Resource Management (IWRM) principles and water sector reforms in the countries of Eastern Europe, the Caucasus and Central Asia. The report is structured in accordance with key IWRM principles and it describes the efforts to create institutional and legal frameworks and implement IWRM principles in these countries. It also details the contribution of National Policy Dialogues (NPDs) to this process, and provides conclusions and recommendations for the further development of the NPDs on IWRM. This report looks at the development of River Basin Organisations (RBOs) in terms of availability of data, logical demarcation, adequate organisational design, clear mandates, stakeholder participation and transparent decision-making, integrated planning systems and capacity building amongst others. It contains five central chapters including a background on IWRM, Justification for river Basin Management through River Basin Organisations, Types of River Basin Organisations, Decentralisation and Subsidiarity and Development of River Basin Organisations. 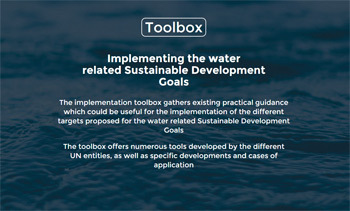 Based on a global survey assessing the progress and outcomes of the application of integrated approaches to the development, management and use of water resources, this UN-Water report includes lessons learned and recommendations, as well as focus areas for action. The report also provides guidance for establishing a regular international monitoring and reporting framework to promote sustainable development and management of water resources. 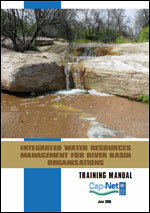 This reader is intended for all those interested in getting familiar with Integrated Water Management (IWRM) issues. 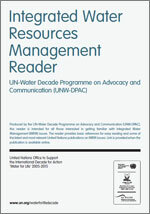 The reader provides basic references for easy reading and some of the latest and most relevant United Nations publications on IWRM issues. Link is provided when the publication is available online. This paper sets out to explore some of the practical aspects of the implementation of Integrated Water Resources Management (IWRM). 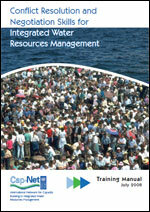 It covers the following aspects: 1) the relevance of IWRM for a number of key development issues, 2) the key characteristics of the concept, 3) the global status of IWRM, 4) practical implementation - the challenges, 5) practical implementation - case studies showing successful applications to problematic management scenarios, and 6) how IWRM programmes are being linked with the Millennium Development Goals and adaptation to climate change by the setting of achievement milestones. 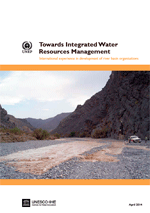 This publication reviews currently available information on cases related to IWRM and Integrated River Basin Management (IRBM) and summarizes these findings with some conclusions and recommendations. 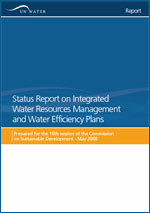 This Report aims to illustrate progress made on meeting the target to "Develop integrated water resources management and water efficiency plans by 2005, with support to developing countries, through actions at all levels" agreed at the World Summit on Sustainable Development (WSSD) in Johannesburg in 2002, through the Johannesburg Plan of Implementation. The Report is based on a survey covering 104 countries of which 77 are developing or countries in transition and 27 are developed. 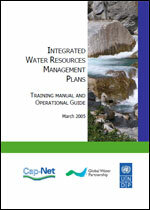 Within the framework of IWRM, the intention of this manual is to provide the necessary general information and specific tools in a user-friendly way so that any water resource stakeholder may be able to resolve existing or head-off impending disputes in a way agreeable to all parties. The emphasis in this manual is on Alternative Dispute Resolution (ADR), in particular, principled negotiation - an approach that seeks to embed outcomes and processes that will serve sustainable, equitable and efficient long-term social needs. This statement has been prepared to support countries in their efforts to improve water management through an IWRM approach, and to stimulate the development of a robust framework for monitoring, evaluating and reporting on the outcomes of such an approach. This training material is intended for a 3-4 day course on how to achieve a water resources management plan that brings in the principles of IWRM. Useful tools are identified to support the planning process in each step. While the material is targeted for national IWRM plans it is readily adaptable for basin level planning and trainers. This background document provides a brief overview of the development of the concept of Integrated Water Resources Management. 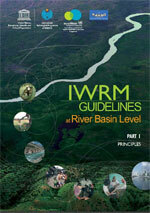 These Guidelines provide information to help practitioners implement IWRM in line with their own set of circumstances. They consist of the fundamental concepts of IWRM as well as provide insights into the perspectives of various stakeholders with regard to water issues, keys for success for overcoming problems, and good examples where such keys for success were applied. This first publication serves as an introduction to the Guidelines and outlines the main points contained within them. Part 1 of the Guidelines provides basic principles of IWRM and explains the benefits of IWRM at river basin level and the need to promote it at the policy level. It also proposes a spiral model of IWRM, which illustrates the evolving and dynamic nature of the IWRM process. 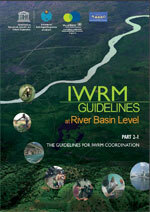 'The Guidelines for IWRM Coordination' is intended for practitioners involved in IWRM coordination. It can be used as introductory guidance for those tackling IWRM for the first time, or as training material for intermediary practitioners and trainers of IWRM. For IWRM experts, it can be used as a reference guide to tackle the various issues and problems they face in their IWRM activities. 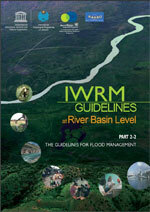 'The Guidelines for Flood Management' is intended for IWRM practitioners of flood management. It is intended to be used as introductory guidance for those tackling IWRM for the first time, or as training material for intermediary practitioners and trainers of IWRM. For IWRM experts, it can be used as a reference guide to tackle the various issues and problems they face in their IWRM activities. The 'Invitation to IWRM for Irrigation Practitioners' is intended for IWRM practitioners tackling irrigation planning. The Invitation consists of three parts: 1) sectoral perspectives, 2) key for success, and 3) IWRM process. The purpose of this training material is to improve efficiency and effectiveness in the application of integrated water resources management (IWRM) for sustainable management and development of water resources. The training is particularly targeted at the staff of river basin organisations (RBOs). 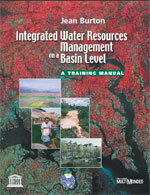 This manual is an introduction to the principles underlying the integrated water resources management concept: the focus is on the approaches and management tools that facilitate its application, taking into account the size of the territory, whether it is national and international basins or sub-basins of local interest. This manual is destined first to trainers who, through a national or a regional seminar, would bring the participants to produce a diagnosis of their basin and an action plan. The manual is divided into two sections. The first one, of a more conceptual nature, presents a review of several definitions and some of the most pressing issues related to integrated basin-wide management. The second section of the manual, aimed at training, takes the reader and the trainer through the steps of the management framework. This study provides ESCWA member countries with guidelines on how to implement Integrated Water Resources Management national strategies, with particular focus on institutional and legal dimensions. The study: (a) assesses the status of institutional and legislative settings; (b) evaluates the progress towards implementing institutional reforms within IWRM national strategies as well as challenges, constraints and gaps; (c) proposes scenarios for the implementation of legal and institutional reforms; (d) reviews institutional and legislative measures taken by developed and developing countries; and (e) presents a set of recommendations to ESCWA member countries on how to enhance institutional and legal reforms in order to implement IWRM at the national/local levels. 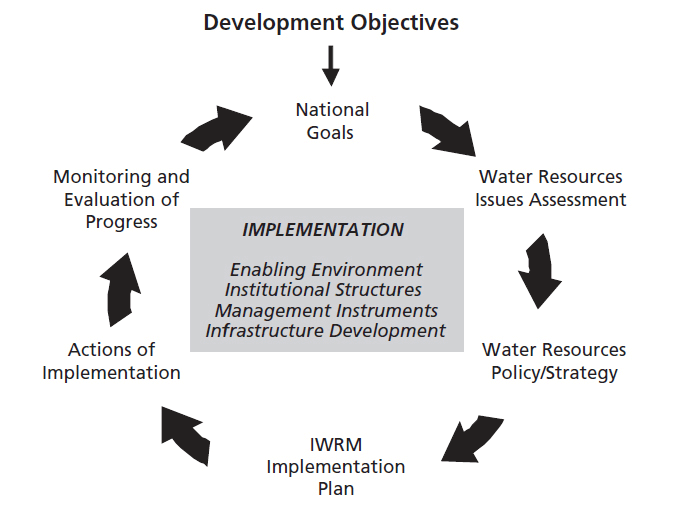 This overview report introduces the process of Integrated Water Resources Management (IWRM) to senior policy and decision makers with the aim of mobilizing political and decision support to implement IWRM at the basin, national and regional levels. 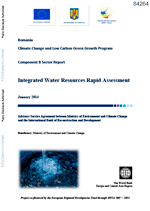 The purpose of this report is to assess the climate change impacts on water resources in Romania from an integrated, multi-sectoral perspective, and to recommend priority actions for addressing the identified risks and opportunities. The analysis is presented from an integrated water resources perspective, thereby including all pertinent water-related sectors, viz. municipal water supply and sanitation, industrial water supply, agriculture, energy generation, environment, and disaster management. The recommended priority actions are presented in the context of consideration for possible financing under the operational programs funded by the European Structural and Investment Funds (ESIF) in 2014-2020 planning horizon. This analysis is based on the available information on the current status of water resources sector in Romania, along with the existing knowledge on the anticipated impacts of climate change in this sector.